Recently we had the opportunity to interview Jason Fried, founder and CEO of Basecamp, a widely successful online tool for productivity. Basecamp stands out in the peculiar way they managed to stay true to their beliefs from their humble beginning in 1999, to seventeen years later as a full-blown company. Cheers for the new guy! Singer and harmonica player for the blues group 'The Creepers', Gilberto Arredondo joined the pr.co team as Chief Commercial Officer! Welcome to sunny Amsterdam, Gilberto. Stuck. 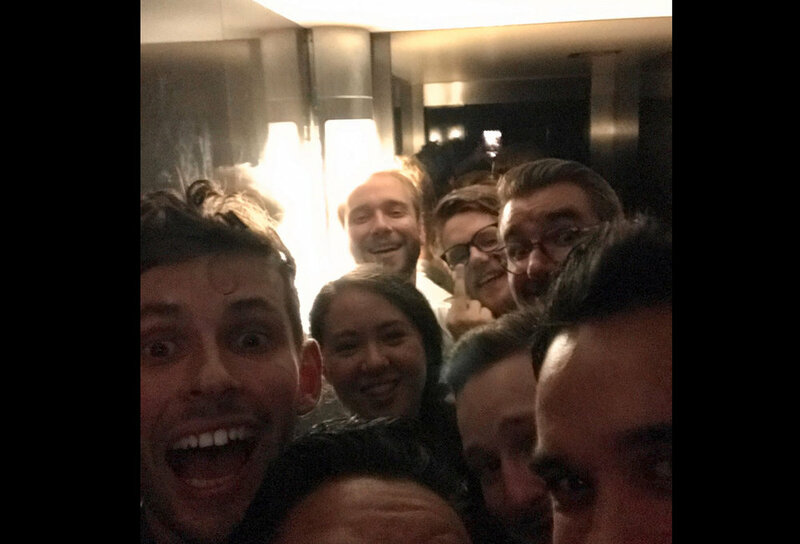 Last Friday, half of our team got stuck in an elevator for more than one hour. The longest elevator pitch ever. Good thing they seem to be looking on the bright side! Match is about to be released. What if we were able to recommend you the journalists who are most relevant to the news you're about to launch? More about this coming soon. New approval flow. Your content writer logs in from London and creates a new article. Then he clicks a button to ask for approval from the Head of Communications. She logs in from San Francisco, edits a paragraph and approves the content. He then schedules it to be published 10 days later, sends 7 emails to share the content with selected contacts. The whole collaboration and approval flows can now be managed from the pr.co dashboard. It looks like we're going to Mars. Mars isn’t a good place. If Mars were a place on Earth, nobody would want to go there. But compared to all of those other options, it’s a dream. Let's see why this is the next step to make human life multi-planetary. I used to be a human being. Andrew Sullivan was a very early adopter of what we might now call living-in-the-web. He began to realise, as his health and happiness deteriorated, that this was not a both-and kind of situation. It was either-or. The way you speak will predict your future mental state. Listen to this scientist detailing a word-mapping algorithm that could predict the development of schizophrenia. Our words hint at our inner lives. Here’s to a productive month ahead! Feel free to send any feedback to hello@pr.co.